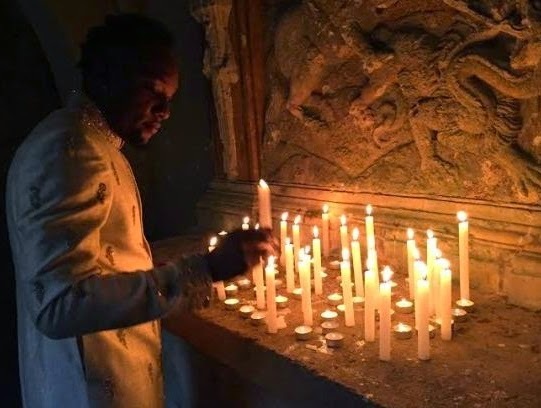 Pictured above is Limpopo crooner Kcee allegedly lightening white candles for protection and fame ritual. Still unsure where this happened but unconfirmed sources say he is performing some rituals. These people can go to any extent to stay relevant in the entertainment industry… Na wa oo.